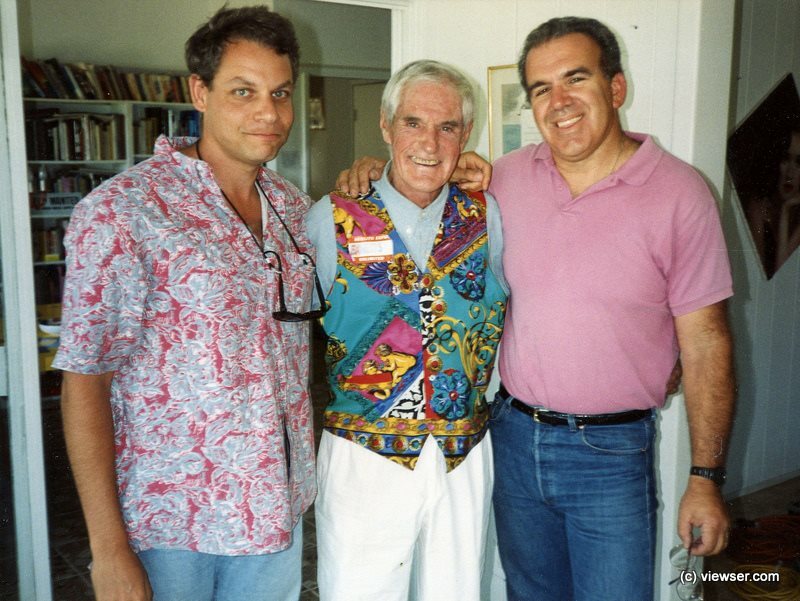 People, such as Timothy Leary (as seen in the above picture with me (l) and my cameraman, Andy Weintraub (r), taken in LA when we were doing a TV mini-series for KCAL-TV News on “Virtual Reality” in the 90’s) were always experimenting with altering human perceptions of reality. I think they were trying to tap into a larger consciousness, as “streaming” on the internet was not yet technologically possible. They were channeling, or streaming this “cosmic consciousness” – through meditation and/or drugs. And since drugs were illegal, tended to wear off and usually left you in a worse place, Leary was working on a computer program to alter reality legally. Since the dawn of time, the bodies and minds of our great artists have been vehicles for “divine inspiration” or “channels” for the intelligence and just-so, fickle juxtapositions of something bigger than the artist’s local garret, hovel, zip code or patron’s agenda. Will we ever lose the difference to differentiate the qualitative difference between the stream that has been originating in the divine since the beginning of time, and the stream we program as our 24/7 inputs via our media devices? I have found your content very enlightening. Thanks for sharing your insights with me. Congrats on the blog. I love the term “Viewser”. I always thought it odd that online metrics always uses the term “user” for measuring their audience. Viewser is much more appropriate. Thought this might interest you as a Viewser. This page seemed like a good one to post it on.